On May 18th in Waco, Texas, a battle erupted between two rival biker gangs. The skirmish, which occurred at a Twin Peaks restaurant, left 9 people dead, 18 injured, and resulted in 170 arrests. 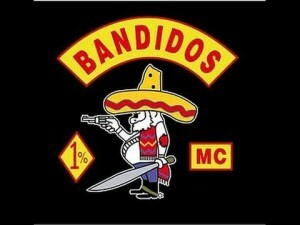 The biker gang shootout started as a fight between two rival gangs, the Bandidos and the Cossacks. The meeting, which had been previously scheduled, was not designed to be hostile. However, tensions were high and the situation escalated into a brawl involving knives and firearms. Witnesses describe the shootout as a war zone with multiple gunshots fired. After the shooting started, the restaurant staff had to lock themselves into the walk-in freezer for protection. Initial reports suggested that the battle erupted after a gang member’s foot was run over by a rival member in the parking lot. This led to an argument that escalated into a brawl that engulfed the whole restaurant. However, law enforcement officials doubt these initial accounts. They believe the actual cause of the fight was a “turf” dispute with both biker gangs claiming the state of Texas as their territory. Are Biker Gangs a Business Security Risk? Biker gangs, as opposed to motorcycle clubs, are considered to be organized criminal organizations by US law enforcement. According to the Department of Justice (DOJ), motorcycle gangs can operate as well-organized criminal enterprises that engage in drug trafficking and violent crime. In fact, 300 motorcycle gangs are listed on the DOJ’s Outlaw Motorcycle Gang (OMG) listing. One of the most prominent organizations on this list is the Bandidos gang, one of the participants in the Waco shootout. Like other biker gangs, the Bandidos place high importance on the logo and wording emblazoned on the back of the group’s leather jackets. On the jacket back, the top banner lists the gang’s name while the bottom “rocker” describes the territory or “turf” the gang claims as its own. In the Bandidos case, their rocker was stitched with “Texas.” However, the Bandidos rival, the Cossacks, had grown to the point where they felt they could also claim Texas as their territory. The shootout seems to have arisen from the fact that the Cossacks had recently placed the word “Texas” on the bottom rocker of their gang jacket. As a result, the two biker gangs called for a meeting at the Twin peaks restaurant to resolve the issue. It appears the Cossacks knew beforehand that their claim on Texas could provoke violence and came prepared to fight. In light of the Waco shootout, IMG’s employee protection professionals believe firms should take steps to determine if they are being patronized by criminal organizations. After all, there were several warning signs prior to the shootout in Waco. For instance, the Twin Peaks restaurant where the fight occurred was known to be a popular biker hangout, and the Cossacks and the Bandidos were known to have tensions. In fact, law enforcement had even warned the restaurant’s management, asking them to cancel the meeting between the two gangs. Unfortunately, it does not look like this advice was heeded. Although the violence in Waco is shocking, it should be noted that the vast majority of motorcycle clubs are legitimate social organizations. To be sure, many clubs actively attract members of the military and law enforcement. However, a few notable clubs are known to engage in criminal activity, including: the Black Pistons, Hells Angels, the Mongols, the Outlaws, the Pagans, the Sons of Silence, and the Vagos. If business owners feel they are at risk from criminal patrons, they should reach out to law enforcement officials or security consultants with expertise in employee protection. In most cases, there are several courses of action that business owners can take to strengthen security and safeguard employees.